An old hero of mine, Emma Peel. Imagine my delight when I saw this title pop up on BOOM!’s forthcoming comics list! I didn’t know they were making comic versions of this old favorite of mine! Now these, kids, are the real Avengers, as far as I’m concerned, and I had high standards going into this first issue. The TV show was a delicate combination of weirdly out-there almost sci-fi and taut spy thriller/detective procedural, which is a difficult balance to get right (*cough* the 1998 movie *cough*). This writer/artist combo has nailed it. We begin issue #1 by seeing a murder, not knowing who is involved or why, only that there are dollhouses about. Then we are introduced to our two heroes the way every Steed/Peel episode did on TV: the phrase “Mrs. Peel, we are needed” revealed in a cute and clever way. The story in this first issue unfolds and by the time we get to the end of the issue we definitely are clamoring to see what will happen next. Which is the way the TV show was, too. The art is colorful and rather “mod” in style, which is perfect for the setting and characters. As you’ve heard me say many times before when reviewing Doctor Who and Firefly comics, it’s a special trick to comic-book-ize a live TV show, as you don’t want to do just an actor portrait, but you don’t want to draw the characters so unlike their actors that they are unrecognizable, either. This issue nails it, again. Bottom Line: I highly recommend Steed and Mrs. Peel: We Are Needed (why aren’t they calling it The Avengers? Copyright w/Marvel?) and can’t wait for the next issue. Also: SPOILERS if you’re not a Browncoat, so be warned. 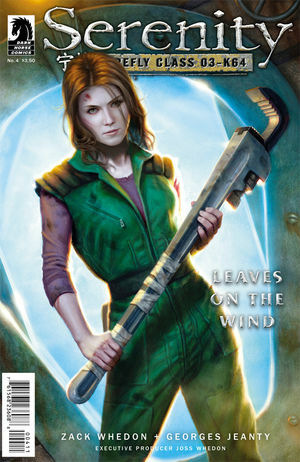 The first two issues of Dark Horse’s new series Serenity–Leaves on the Wind takes up just a little while after Serenity the movie left off: River is still odd but much stabler in her new role as pilot, Zoe is about to have her baby (and is haunted by the ghost of her beloved husband), and everyone’s favorite Firefly-class ship and its denizens is in hiding. The ‘verse is reeling from the exposure of what the Alliance had done to Miranda, and rumors (and rebellions) abound. Some of the spunkier rebels will do anything to lasso Mal and co. into joining their cause, including conscripting Jayne (who’s not still on the ship but doing who knows what when we encounter him again, though apparently money still talks when it comes to Jayne) to run Mal to ground. The storyline is engaging of course–I mean, who hasn’t been wanting to know WHAT HAPPENS NEXT in the ‘verse–and the dialogue is written masterfully, with that same unique cadence heard in the television series. 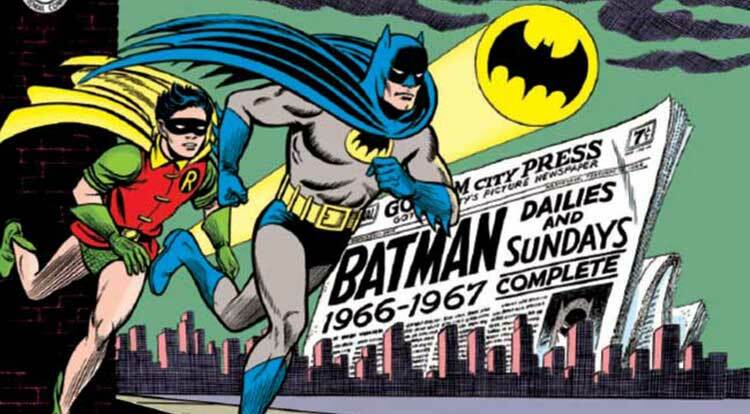 The art is what I would call “posh-comic” style: a semi-realistic look with muted colors amid the dark outlines. Overall as a sweeping statement, I would say the series is very high quality, and is shaping up to be an excellent mollifier to all of us still wanting to live in “the black.” One teensy little nitpicky thing I can mention is that sometimes the characters don’t look, well, like them. It’s a tricky balancing act, the comic based on a TV show, as I’ve been saying about the Doctor Who comics: there’s a fine line between doing actor-portraits and just portraying the character himself. In this series so far, it works most of the time, but every once in a while when we look at Mal or Simon especially we get yoinked out of our suspension of disbelief. This is a minor point, however, in light of the exciting tension and warmth of character continuing in this series. I cannot wait till #3! Side Note: such a cute moment when Zoe reveals what her newborn daughter’s name is. That scene could have been right out of the TV show, if it had continued (/sniff). 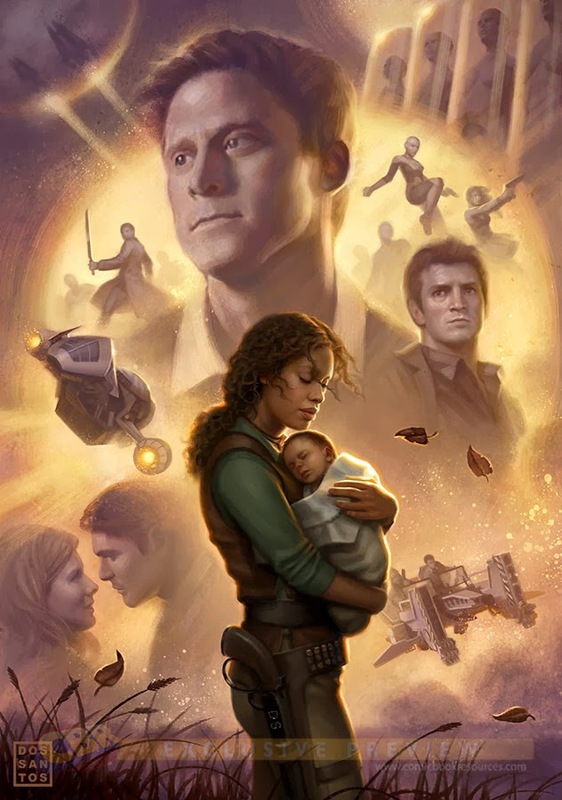 Bottom Line: This series is highly recommended, though I would not start on it till after you’ve enjoyed Firefly in its entirety, including the movie Serenity. You’ll get spoilers and just won’t understand what’s going on unless you do.